By far the best digital tool to connect citizens with government, cities and other institutions! 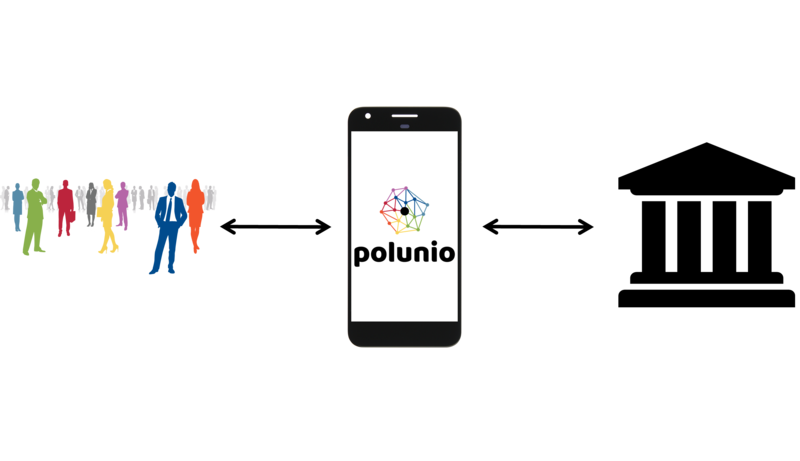 The polunio basic process simply explained! Brilliant and smart features that stand out! Be informed! Get the most important votes in your city council, state or federal parliament and even the European Union. We develop a smartphone app, so that you can have your favorite political participation tool always at hand! With Location Management, our publishers can choose to make a voting issue visible to citizens in particular towns, cities or states depending on their target audience. Just one button away to connect yourself into the political decision-making process and express your personal preference on issues that matter to you. 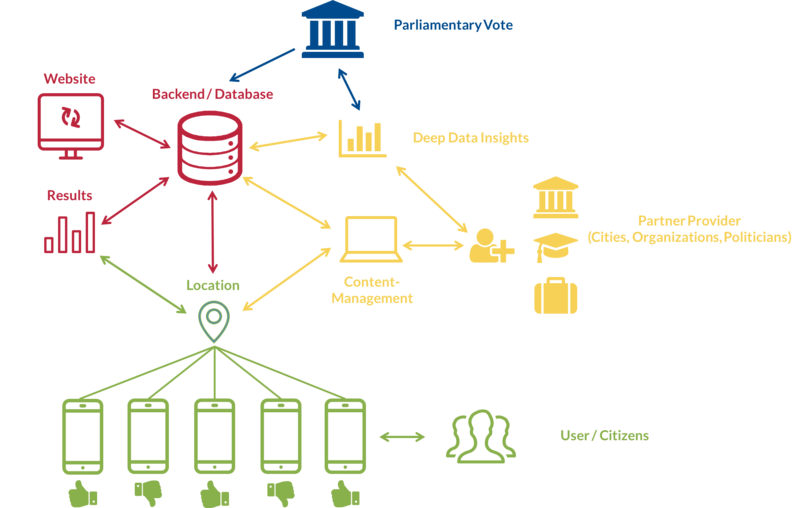 Our Partner Provider (Governemnt, Cities, Politicians and other Institutions) can create their own content and get deep-data insights (anonymized) about the public interest. Compare the parliamentary vote result with the citizens’ vote and know whats up! Keep track of how officials respond to the results published on the platform. We use state-of-the-art crytopgraphic building blocks, to ensure your anonimity while still validating the authenticity of your vote. We do not store any identifying information from you in our database. As such no entity can connect your data with your identity, not even us. So much more than just “another” app! We believe that political participation can only be successful if all stakeholders benefit, so we let governments, cities and political institutions provide their own content and give them valuable anonymized local and demographic data-insights.